When Craig and I moved two years ago we inherited the previous owners landscaping. It was actually lovely but had been a tad neglected. On the side of our porch there were several bush roses that were overgrown and one was dead. 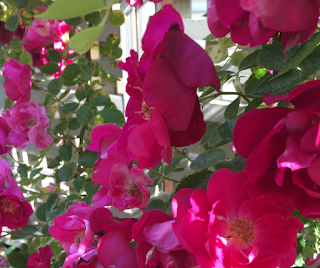 Along the fence there was what looked to be a climbing rose struggling to live. Craig decided to prune away the dead parts and see if it would come back to life. Wowzers! Not only did it return but it tripled in size and looks gorgeous. Every time I enter our house I look to the side and there it is reminding me of what happens when we get rid of the dead. Forever. Trim it. Prune it. And every time it starts looking dead. Prune it again. I keep thinking of all the many Bible verses that talk about getting rid of the old and putting on the new. 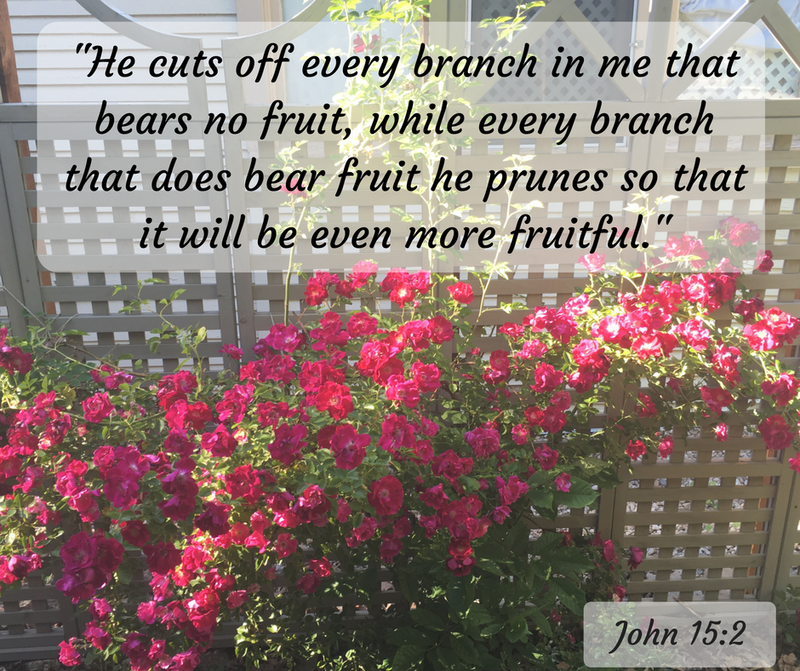 And passages where God promises that He will prune us and help us to become the new person He has designed us to be. I know in my own life that I have held on too long to things that keep me from growing and flourishing. I have to eliminate the dead. 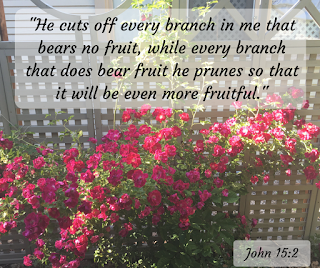 In John 15, Jesus tells His disciples, "Every branch in Me that does not bear fruit, He takes away; and every branch that bears fruit, He prunes it that it may bear more fruit. " It is the desire of my heart that I bear more fruit. That I keep growing and that I don't let those dead parts overtake or choke out any good.